How Does the Government Calculate the Unemployment Rate? The number of people in the workforce is one of the most watched statistics that the federal government tracks each month. More people at work means more state and federal taxes collected by the government. More people at work also means more families are able to earn money and thus, spend it. Consumers drive the American economy, and more employed consumers mean a more active economy. The unemployment rate tracks the employment picture across the nation. It is a number used by government officials and businesses alike, both as a snapshot of the current economic picture as well as an indicator of things to come. The national unemployment rate is released by the United States Bureau of Labor Statistics (BLS), which is part of the Department of Labor, on the first Friday of each month. The unemployment rate is expressed as a percentage and reflects the estimated number of people that are out of work and actively looking for employment at any time during the previous four weeks before the employment survey is taken. For example, if there are 155 million available workers and the survey indicates 12.3 million are out of work but looking, the unemployment rate would be 7.93%. They worked at any time during the survey period and received pay for that work. This work can be part-time and temporary work, as well as full-time work. People who are on vacation or taking maternity or sick leave are also considered employed even if they did not physically show up for work during the survey period. A common myth about the unemployment rate is that it is arrived at simply by counting the number of people who have recently filed for unemployment benefits. 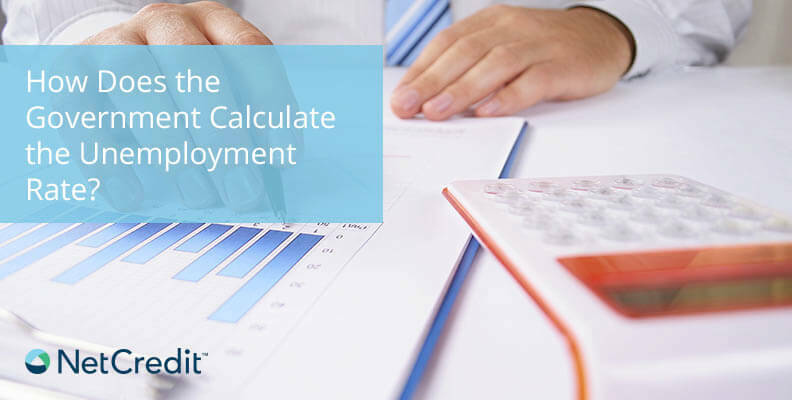 While unemployment claims are tracked and reported weekly, they are not part of the methodology used for calculating the unemployment rate. Instead, the federal government conducts the Current Population Survey, or CPS, by contacting approximately 60,000 households, or approximately 110,000 individuals from a list of some 2,000 different geographic areas. From this list of 2,000 areas, 824 are chosen for the survey. The sampling reflects urban, rural, industrial, and farming areas as well as the major metropolitan areas for each state. After a household is surveyed for four consecutive months, the household is removed from the survey for the next eight months then surveyed again for the same four months the following year. If the individual interviewed indicates they are no longer looking for work and have quit the work force, that person is removed from the pool of workers altogether. The unemployment rate reported on a month-to-month basis is a key indicator on what the economy may do in the near future and is why it’s one of the most, if not the most, anticipated economic number the government reports. Because each monthly report is a snapshot for a specific period, economists, business people and investors tend to focus on the general trends, as well as the specific rate for each month. If the unemployment rate is trending upwards, that may be an indicator of an economy that is losing (or not generating enough) jobs. If the unemployment rate is consistently going down, it may indicate a growing economy. That unemployment trend line is a strong signal for investors and consumers alike, as to when and where they should invest and save.